Latest build of Google's mobile operating system also set to provide better speed and multitasking tools. 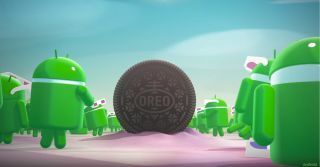 Google has officially revealed that the next generation of its mobile software will be called Android 8.0 Oreo. Set for launch later this year, most probably alongside the Google Pixel 2 smartphone, the new version of Android is perhaps lacking in pure headline-grabbing features, but should bring a number of benefits to consumers and business users alike. This includes the new Google Play Protect, which looks to offer an extra level of security to Android devices. The service continuously scans your device around the clock in order to attempt to spot any new threats, covering not just the hardware but also your data and apps. Google says that Play Protect scans "billions" of apps each day in order to clamp down on the ever-pervasive threat of Android app malware. Android 8.0 Oreo will also allow users to set much stronger security settings across their device, with a new security status alert within the settings menu, as well as stricter app install controls. There's also an upgraded Find My Device feature which will allow you to wipe your phone if it ever gets lost. The new software will also offer greater efficiency and performance, Google says, claiming that Oreo will boot up twice as fast on its Google Pixel devices, and is also compatible with Android 'Instant Apps', which don't require full installation to run. Elsewhere, Android 8.0 Oreo also includes a new picture-in-picture mode, which allows users to browse the web or check messages while watching a video or making a video call. The software also brings 'dot' notification to Android devices for the same time, with dots now appearing on app icons, meaning users can check and swipe away alerts without needing to open an app. "In Android 8.0 Oreo we focused on creating fluid experiences that make Android even more powerful and easy to use," Android VP of engineering Dave Burke wrote in a blog post announcing the new release. The new version of Android 8.0 Oreo is available to test for some users now, although you'll need to have a Google Pixel or Nexus 5X/6P device to try it out.